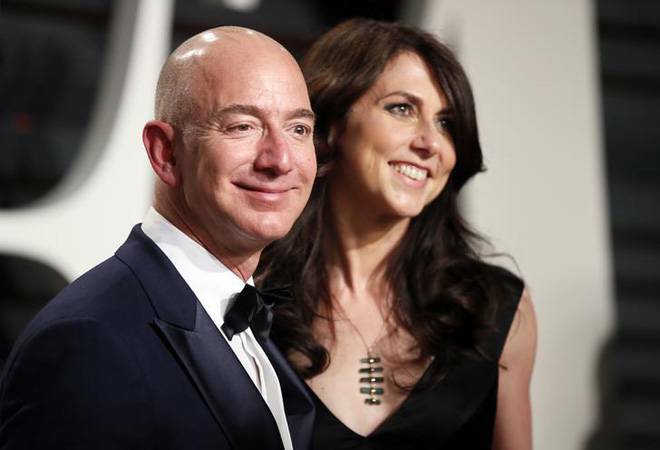 Amazon founder and the world’s richest man Jeff Bezos is soon expected to add another record to his name – that of the world’s most expensive divorce. The 54-year-old’s net worth is pegged at over $137 billion courtesy his stake in Amazon, which recently overtook Microsoft to once again become Wall Street’s most valuable company. So his recent announcement of divorcing his wife of 25 years, MacKenzie, is widely expected to make history. The joint statement released on the social media on Wednesday suggested an amicable parting. “After a long period of loving exploration and trial separation, we have decided to divorce and continue our shared lives as friends,” the couple tweeted. Barring a prenuptial or postnuptial agreement already in place, the divorce laws in Bezos’ home state, Washington, suggest an equal split in assets and debt accumulated during a marriage. Significantly, Amazon was founded in 1994, a year after the Bezoses got married – 48-year-old MacKenzie had even pitched in with accounting for the company in its first year. Hence, according to CNBC, MacKenzie could end up with 50% of Bezos’ entire Amazon-based fortune. In other words, she could be entitled to a whopping $66 billion, based on the current value of the ecommerce giant. That would not only make her the world’s richest woman, but also rejig the ranking of global billionaires sending Microsoft co-founder Bill Gates to the top of the charts in place of Bezos. MacKenzie, a Princeton graduate who is now a novelist, met her husband when interviewing for a job at a New York hedge fund. They reportedly got married just six months after they started dating. The couple have four children. Assuming a 50:50 settlement between the couple, Bezos would have sell or pledge shares to fund such a huge amount, and may have to dilute his ownership and control of the company. According to Refinitiv Eikon data, MacKenzie does not hold any Amazon shares directly, while Bezos has a 16.1% stake in the company. Logic stands that MacKenzie would want the family fortune to continue to grow. And since that is tied in large part to Bezos’ control of the company, she is unlikely to push for a settlement that would require him to sell shares and dilute his control on Amazon. Experts all agree on one thing: The divorce is unlike to be a messy one. Given that Amazon is a public-traded company, the duo would hardly want to risk the stock taking a beating from a prolonged, acrimonious fight.